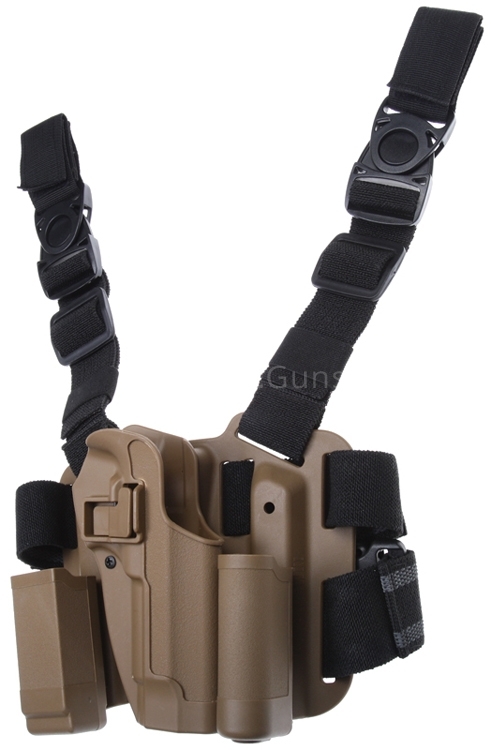 Desert tactical holster Beretta M92 CQC lite style design BLACKHAWK. Shaped pistol holster comfortable wear on modern thigh panel. Fixation of thigh panel on the leg is done by an adjustable velcro slings and tie slings. The package also includes plastic holster on the magazine and flashlight. We could inform You about restocking.